HAKI Universal is unbeatable for building Birdcages for high level access. Birdcages are typically used in buildings where access is required, at high levels, for example ceilings. The Birdcage is an independent scaffold consisting of more than two rows of Standards in both directions connected by Ledger Beams at every lift height. The top lift is decked to form the access platform for work. HAKI Birdcages can be constructed with more than one lift height or single lift. 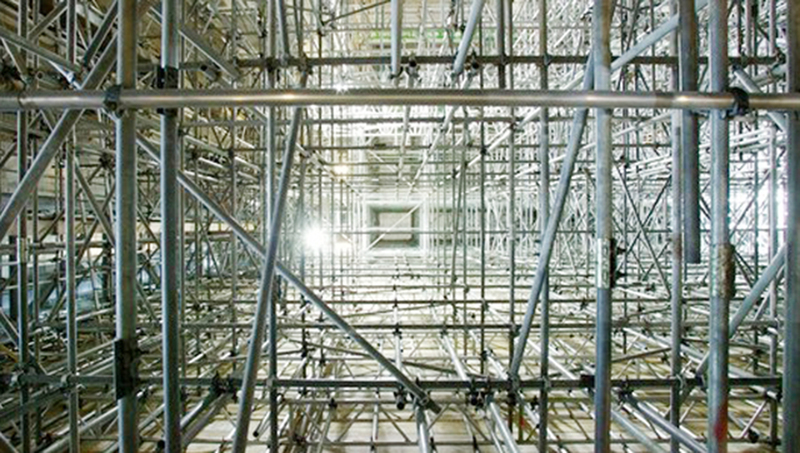 Several scaffolding bays can be joined together to provide large areas of continuous access. Undoubtedly the fasted birdcage system available on the market.